Many a time you would have wished of deleting a message you just posted on WhatsApp. Bad luck, the Facebook-owned chat app has no such feature. However, soon it may give users an option to delete the message they sent by mistake before the person, to whom it was sent, had a chance to read it. “Delete for everyone” – how it works? 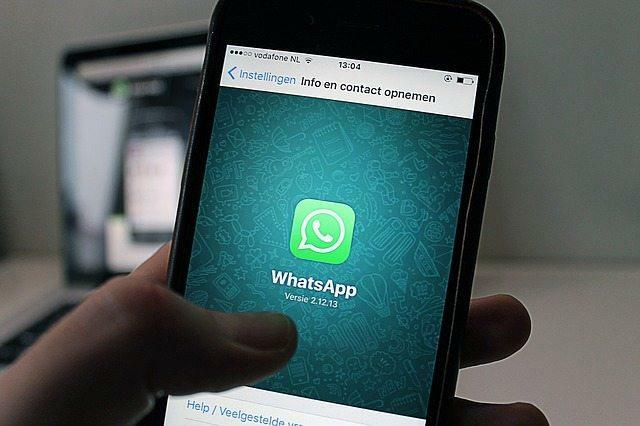 According to serial WhatsApp leaker WABetaInfo, the chat app is currently testing such a feature – named “Delete for everyone,” on Android and iOS devices. The tipster, further, claims that the said feature is working well and is successfully deleting the messages. “The server finally works and it successfully recalls the message. It will be remotely enabled later and seen that WhatsApp ‘enabled’ their servers for the Delete for Everyone feature, it may really be enabled soon,” WABetaInfo tweeted. Rival messenger apps like Telegram, WeChat and Viber already have such a feature. Some apps allow users to delete messages not yet seen by the recipients. In other apps, users can delete sent messages irrespective of whether it has been seen or not. Talking of this new WhatsApp feature, it will allow users to recall quoted messages, images, GIFs, videos, texts and even status replies within a five-minute window, according to The Independent. But, the messages sent more than five minutes ago or already read will not be eligible for recall. Though the feature will support both iOS and Android, there may be a difference on how it works on both the platforms. For the Android, whenever a message is recalled, the notification on the recipient’s device will also be updated with words “This message has been deleted.” However, for the iOS users, instead of updating the notification, the message would simply disappear, leaving no trace if it ever existed, notes AH. When this new WhatsApp feature will launch? Recently, there were rumors that the company is working on an unsend feature after some users found the functionality in WhatsApp’s code. At the time, it was believed that the chat app will make the feature public in June. The feature was again spotted in the August beta version of the app for the Windows Phone, notes TNW. As of now, there is no information on when the new WhatsApp feature will roll out to all the users. However, considering that the rumors of such a feature being in testing are circulating since January and the August version of the app for the Windows phone already had the code, the feature could be just a few weeks away, if not sooner.